The hilarious second installment of the popular humor series honoring the worlds most improbable actual research The first volume of The Ig Nobel Prizes was celebrated as a "brainy bacchanalian" (USA Today) and "so funny you couldnt make it up" (The Washington Post). 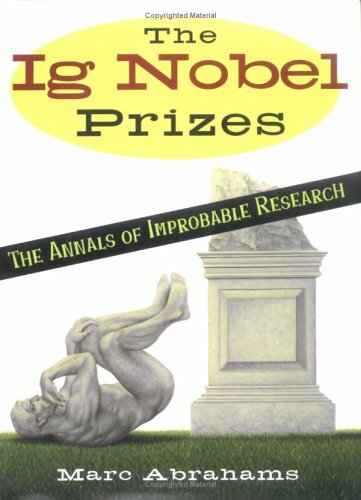 Now, the "guru of scientific satire" (Publishers Weekly), Marc Abrahams, returns with The Ig Nobel Prizes 2, a fresh compendium of all- new unbelievable-but-true accomplishments in the sciences, arts, and humanities. Born from the annual Ig Nobel Prize Ceremony at Harvard University, The Ig Nobel Prizes 2 demonstrates the incredible lengths to which people will go in the pursuit of knowledge. Winners of this prestigious award include: -The scientists who discovered that chickens prefer beautiful humans -The Norwegian research team that documented the impact of wearing wet underwear in the cold -The entire nation of Liechtenstein, which rents itself out for weddings, bar mitzvahs, or other gatherings. 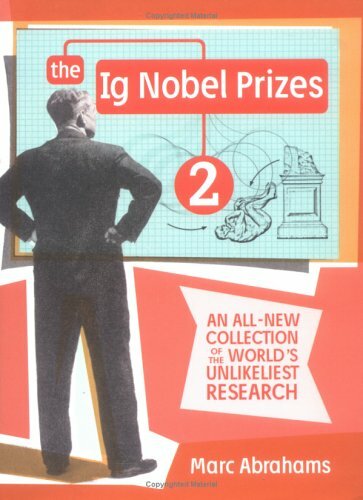 Featuring anecdotes from the 2004 Ig Nobel Prize Ceremony and a zany collection of all new achievements, The Ig Nobel Prizes 2 is perfect for anyone who first wants to laugh and then wants to think.